Our roof cleaning solutions are an environmentally safe, low pressure way to remove dirt, fungus and algae stains from your roof and home. Here at Annapolis Brothers Power Washing, we are committed to providing our customers with an unsurpassed level of service. We pledge to give you the highest standard of care and provide 100% satisfaction. We have done our research and mastered our roof cleaning solutions. Our customers can be assured of a safe and effective cleaning process. 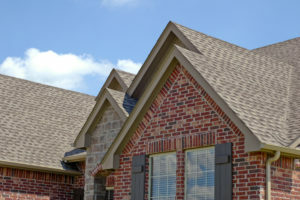 We use a soft wash technique that is safe for your roof and its surroundings. Our certified techs have the proper equipment for the job and are ready to work. Your time is valuable to us, you can always count on the job being done right the first time around. Our experts our top rated, Roof Cleaning Annapolis. When you start seeing dark stains on your roof, algae is most likely the culprit. Simply put, algae will begin to eat away at your asphalt shingles. The longer algae stays on your roof, the more damage it will cause. Once the moisture is set, with time, it will begin to rot. Therefore, eventually ruining the structure of your roof causing you to replace it. Avoid unnecessary costs and call your local roof cleaning professionals. We are here for you. You’ll find our prices hard to beat. Call now and we can price your roof cleaning in a matter of minutes. If you are in need of more home services, click to view our window cleaning annapolis page.